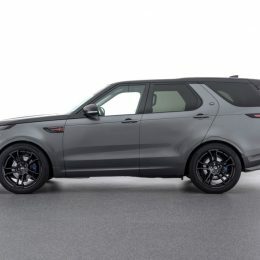 The Land Rover Discovery continues its success story with the fifth edition. 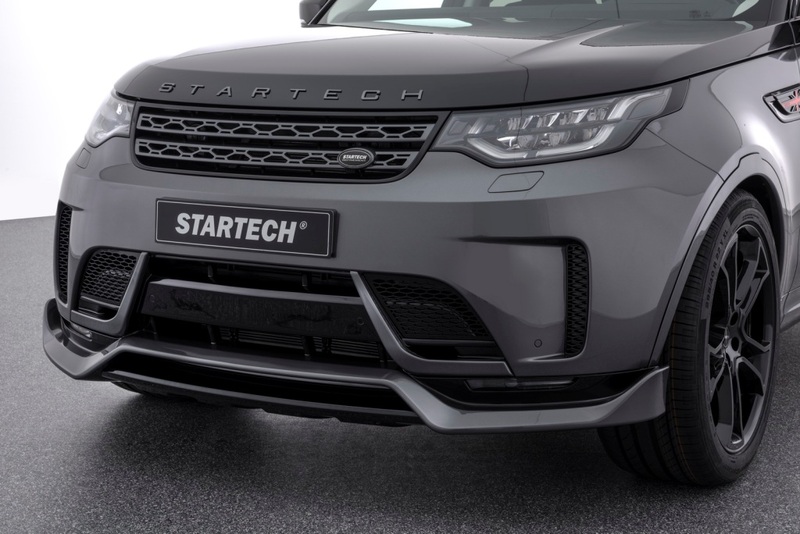 STARTECH (Brabus-Allee, D-46240 Bottrop, phone + 49 / (0) 20 41 / 7744 555, fax + 49 / (0) 20 41 / 7744 544, Internet www.startech.de), a company of BRABUS Group, presents the exclusive accessories range for the British SUV in a world premiere at the IAA 2017 in Frankfurt am Main. 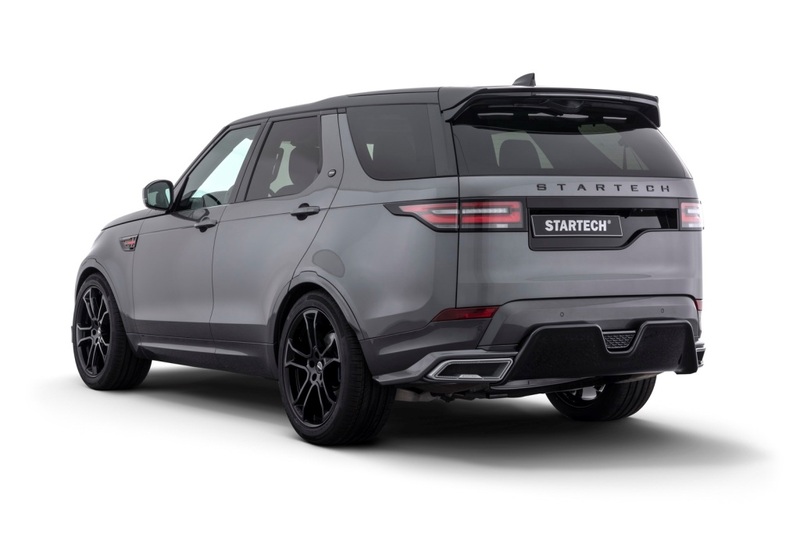 The lineup ranges from a sporty-elegant body-styling kit with on-road design and tailor-made 22-inch wheels with the perfectly matched tires to high-quality interior design tailored to the customer’s personal preferences in every last aspect. 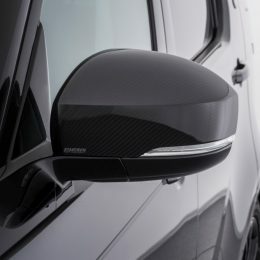 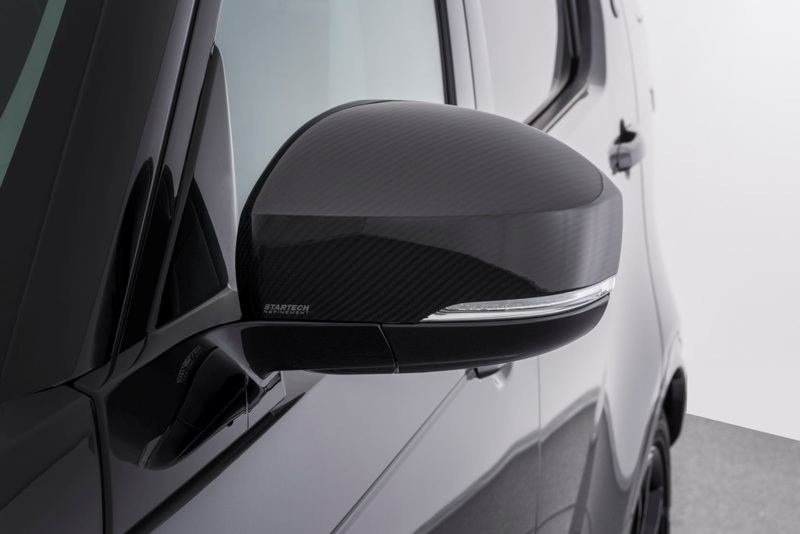 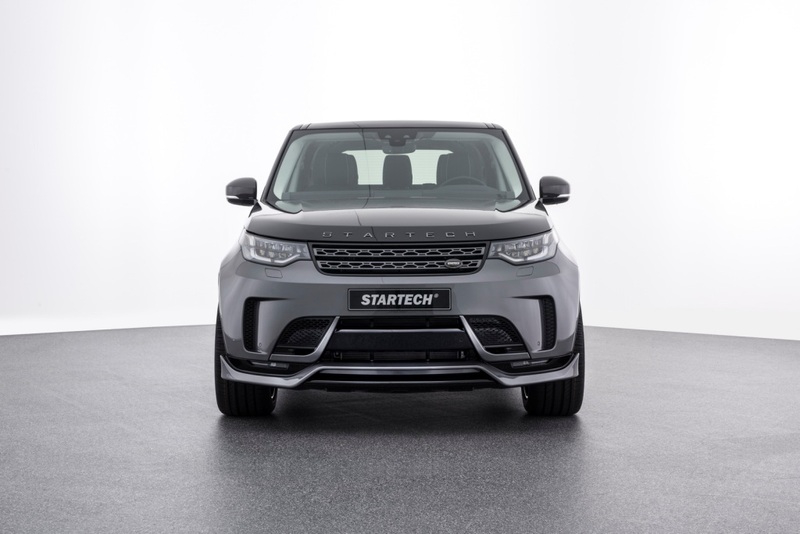 The STARTECH designers developed a range of bodywork components for the new Discovery 5 designed for predominant on-road use, which adds some sporty-elegant highlights. 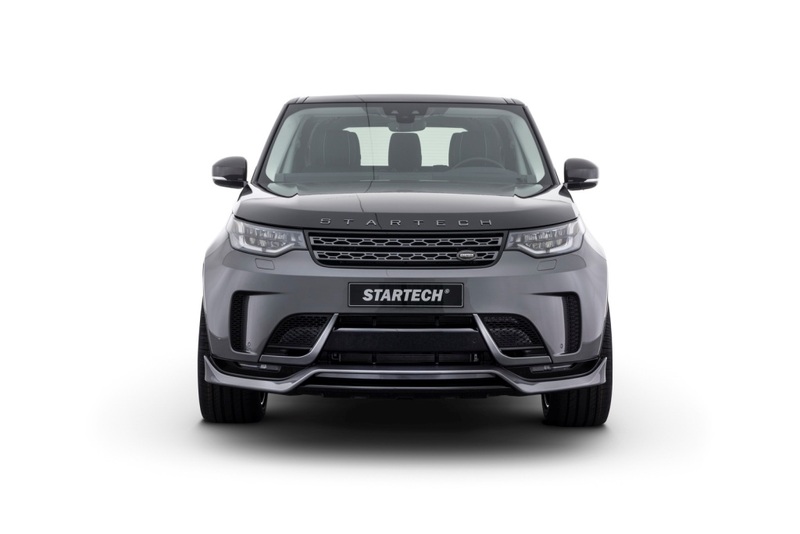 The front spoiler attaches to the production bumper and impresses with its distinctive design with raised side flaps. 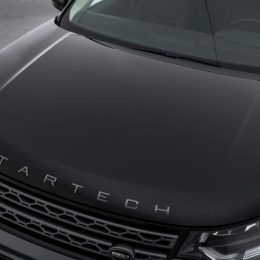 Thanks to its sophisticated shape, the aerodynamic-enhancement component also reduces front axle lift at high speeds. 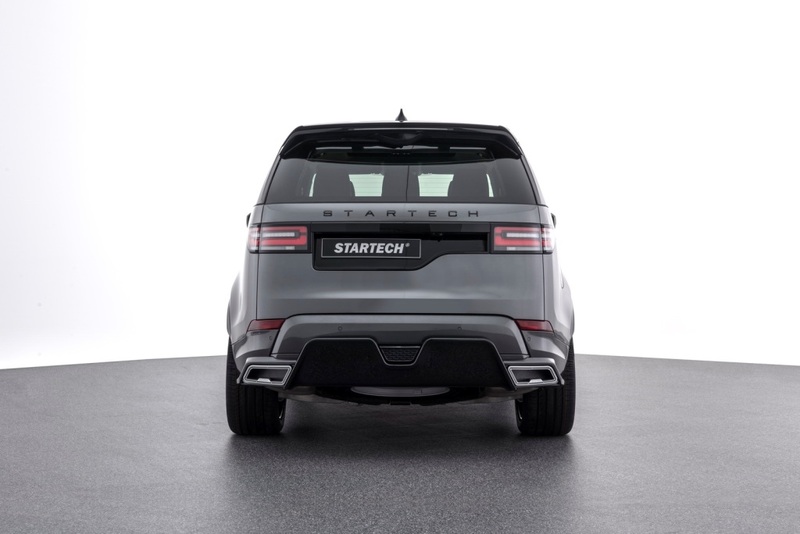 To match the new front-end looks, STARTECH offers an add-on component for the rear bumper. 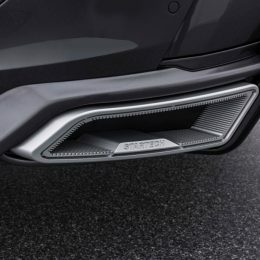 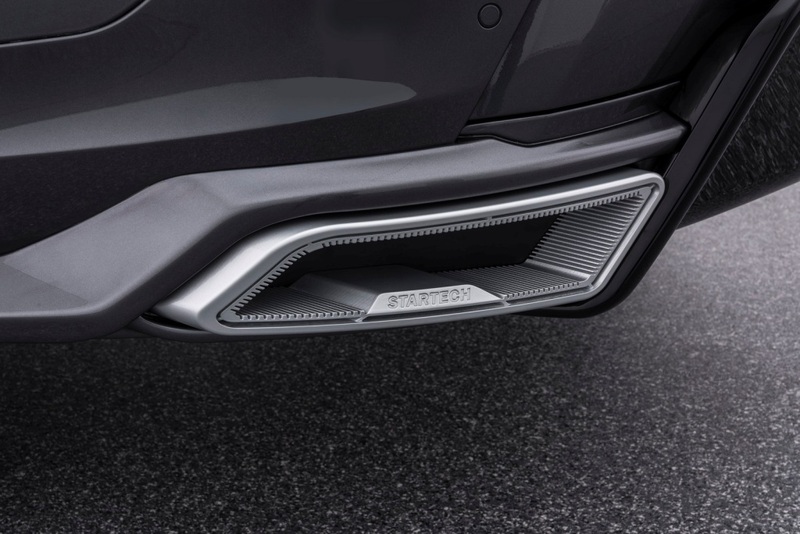 It features characteristically shaped integrated tailpipe embellishers, which are combined with the stock exhaust system, and a center section shaped like a diffuser. 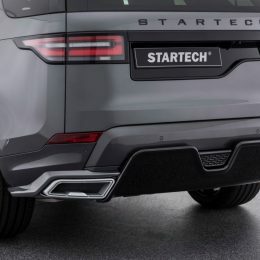 Thanks to its clever design, this component can also be installed on vehicles fitted with a trailer hitch. 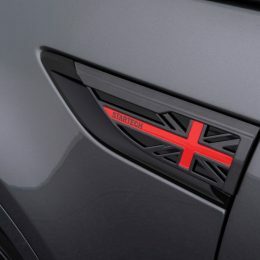 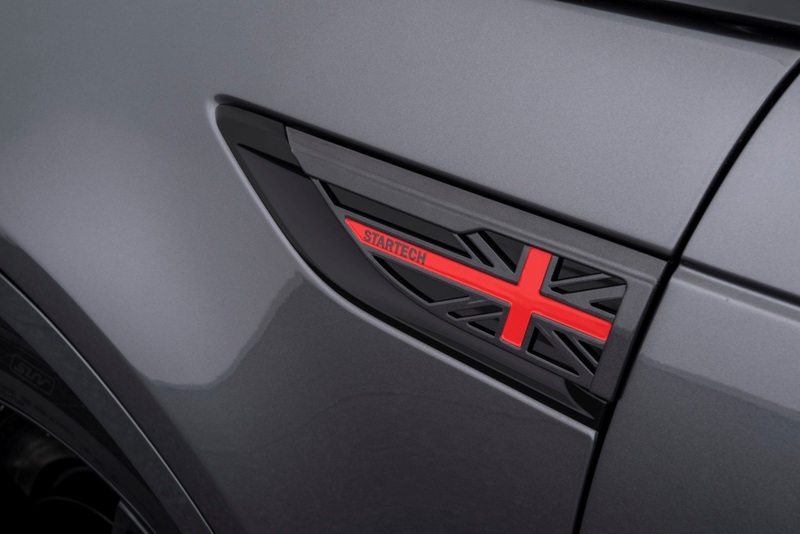 The STARTECH inserts with ‘Union Jack’ design for the front fenders pay tribute to the British origin of the off-roader. 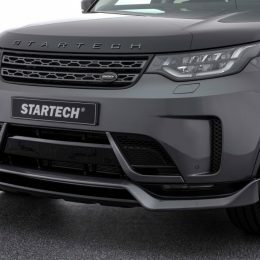 For the show car at the IAA the STARTECH designers additionally developed a special paint scheme with the hood and roof sporting a high-gloss black finish. 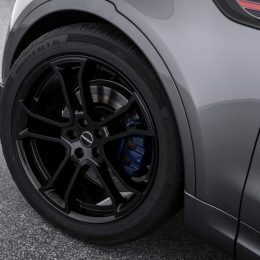 A generously sized tire/wheel combination is of course also part of a more thrilling appearance. 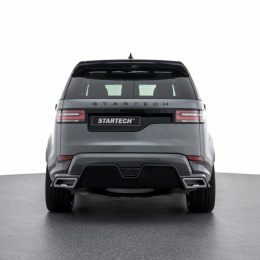 STARTECH equips the new Discovery of the fifth generation with Monostar M wheels of size 10Jx22 front and back. 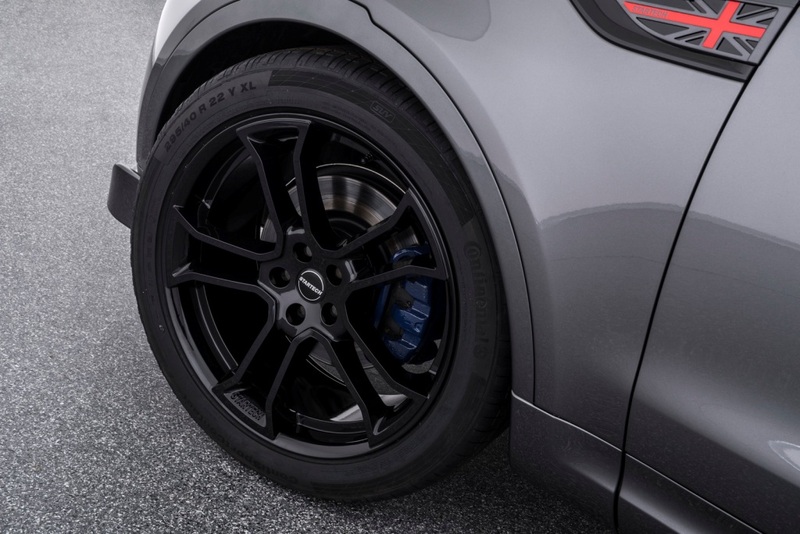 The wheels with five delicate double spokes and a wheel hub cover designed to look like a center lock fascinate on account of their combination of lightweight construction and maximum strength. 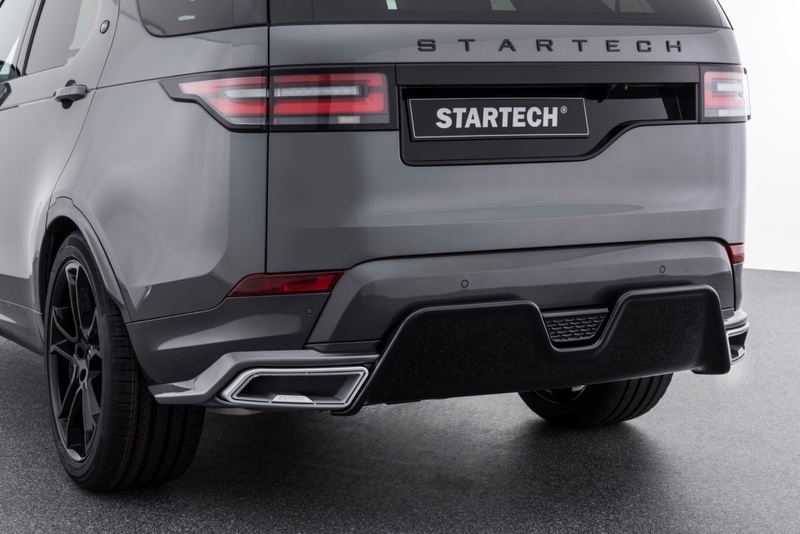 STARTECH chose Continental low-profile tires of size 295/40 R 22 as the perfect solution. 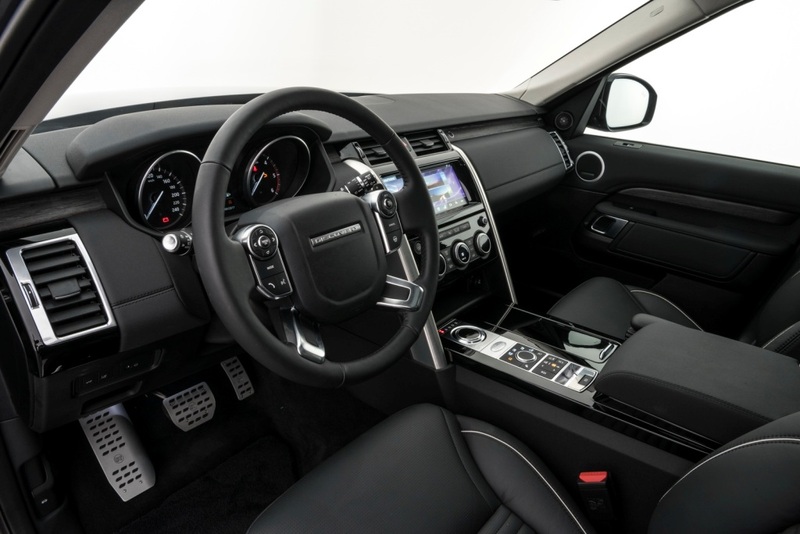 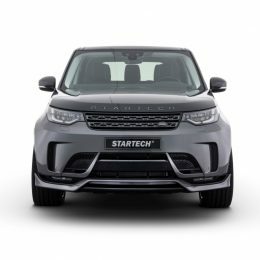 STARTECH also refines the interior of the new Land Rover with innovative ideas for a more personal touch and further enhanced functionality. 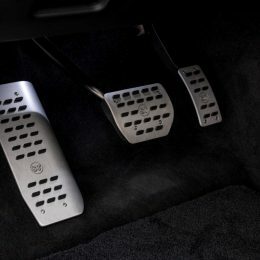 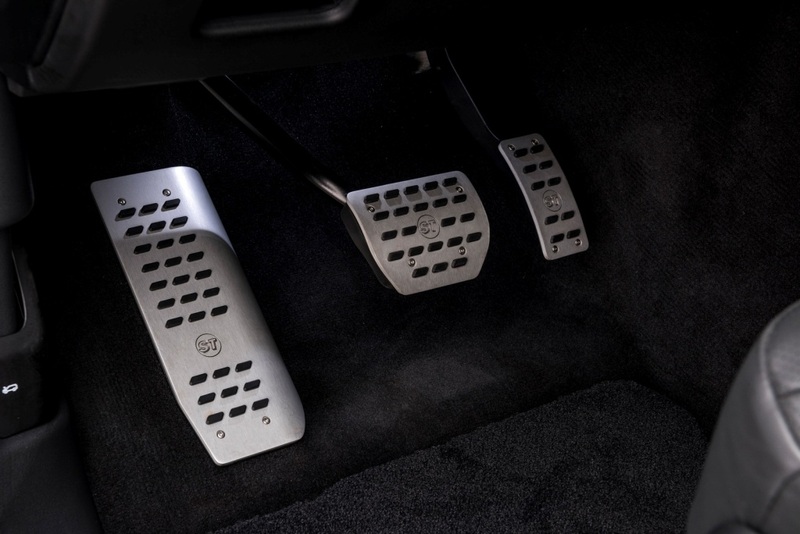 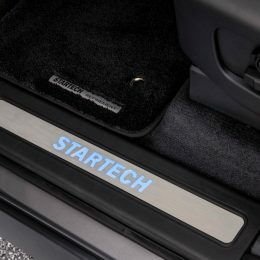 The lineup of exclusive accessories ranges from scuff plates with backlit STARTECH logo and classy floor mats likewise sporting the logo of the refinement specialist to aluminum pedals and footrest. 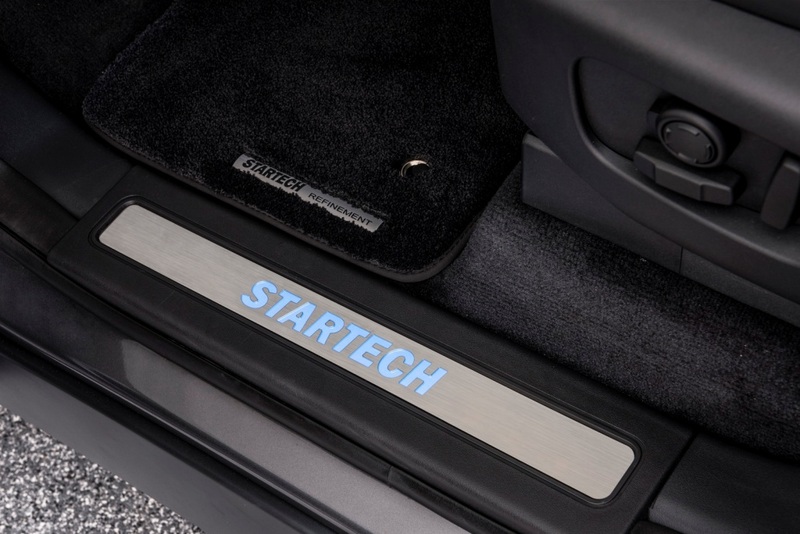 Requests for more extensive interior refinement can be fulfilled by the STARTECH upholstery shop with interiors crafted from the finest leather and Alcantara in a virtually endless variety of colors and in any desired upholstery design. 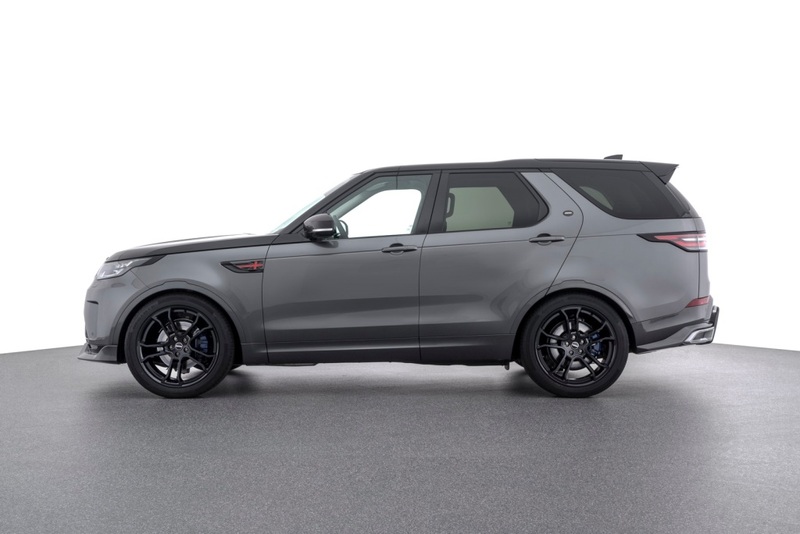 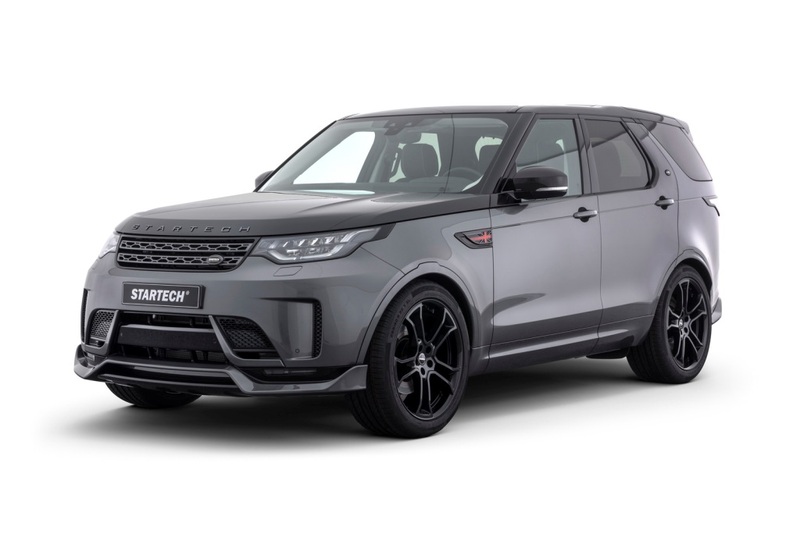 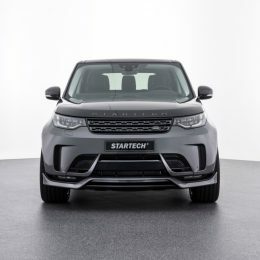 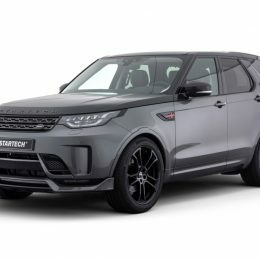 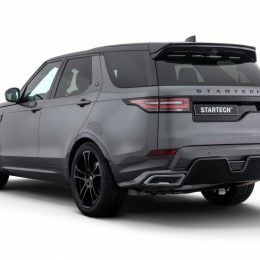 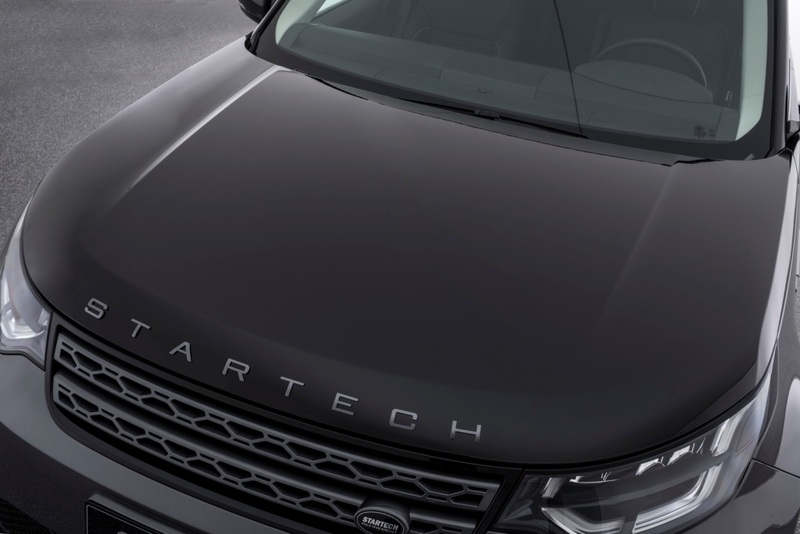 In addition, STARTECH also offers all owners of a Land Rover Discovery the possibility to upgrade their vehicles with noble wood and carbon trim sets tailored to personal preferences in every detail. 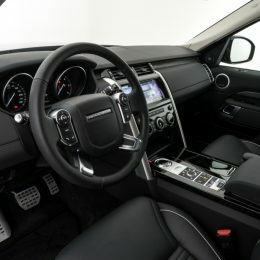 There are practically no limits with regard to colors and surface finishes for these components either.